Former Mav and Jacksonville Jaguar Chris Reed signs with the Miami Dolphins. Boom goes the dynamite. "Aquaman" after four years of "Man of Teal." Not a bad gig. Congrats, Chris. Great kid and great family. I think this is me in the back row. Just saw this on Twitter- Vance Barnes is grad transferring from MSU. No idea where he is going to go. Not surprised at all. His play diminished as the season went on and the return of Nyles Williams (to me, one of the difference makers on offense when on the edges) probably plays a factor. I could be wrong and he’s simply transfering to get into his masters program whatever that may be. BREAKING: Adam Thielen agrees to four-year, $64M extension ($73M max) with @Vikings. Let's go back sixty years- the 1958 team that started the string of four straight NIC championships from 58-61 under Iron Man Coach Bob Otto. Note the lower campus building in the backround for the players, and Blakeslee Field in the background for Otto, which means that picture couldn't have been taken before 1962. Coach Otto had quite a legacy at MSU. Also a good instructor and person. I recall seeing a player roster from the early 60's a few years back. Players today are so much bigger in general at the collegiate level. This triggered something kind of random in my memory - but about a year or so ago, I met an older guy at my old job who was an MSU alumni. He said Blakeslee was his Phy Ed teacher. I thought that was kind of interesting. Picture from the College Football Hall of Fame. 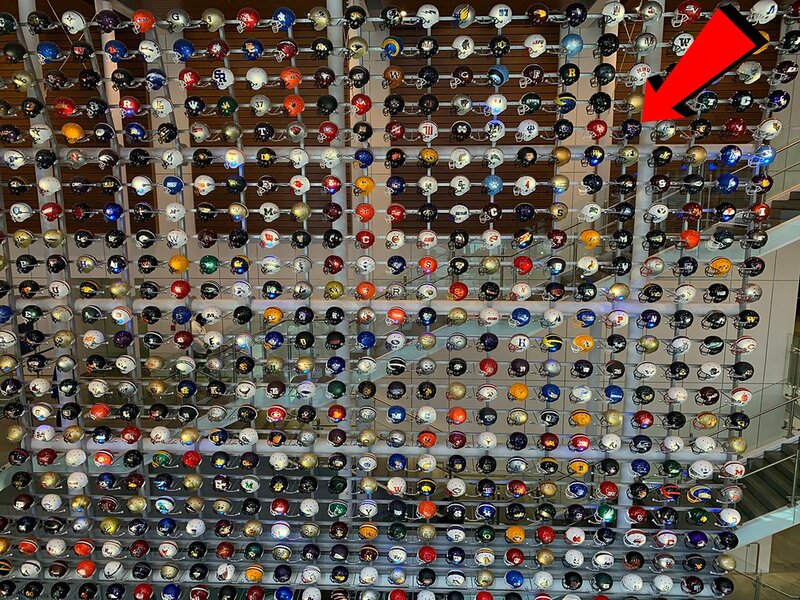 There are 765 helmets there from the different levels- the arrow shows where the Mavs helmet is located.